Pre-heat grill and grill salmon portions for 2-3 mins each side until golden and cooked to your liking. In a pre-heated fry pan, sauté garlic and onion with olive oil. Add grated zucchini, carrot to the pan and cook through. Remove from the pan and mash all vegetables together. Mix sour cream and mustard together. 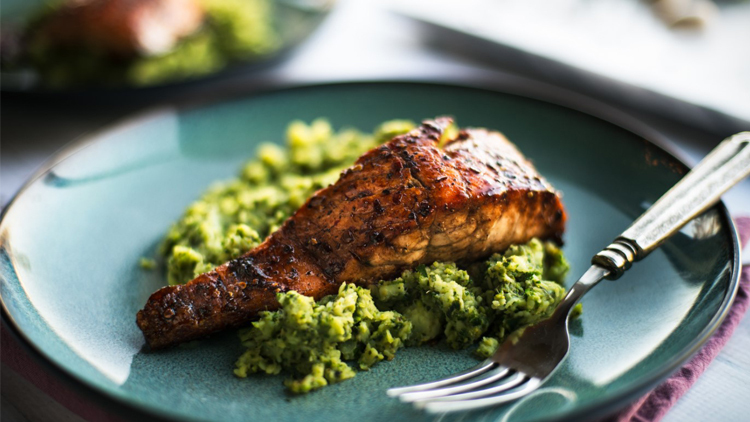 Drizzle mustard dressing on top of vegetable mash, serve with salmon and enjoy!